Help your neighbors, help your city. 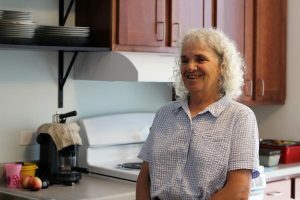 For over two decades Heartland Housing has worked to help people obtain homes. We believe that everyone should have access to housing, that no one should have to worry about where they will sleep or where they will put their children to bed. We believe housing is the foundation for people to begin rebuilding their lives. Our permanent, supportive developments work with communities to stabilize their most vulnerable citizens by addressing the critical need for affordable housing and key supportive services. Providing people with the opportunity to improve their lives, to have a home, to have access to the social services they need in order to know a life out of poverty is the work of Heartland Housing. Our efforts depend on those who want to participate in our work by giving now and who understand the social cost of communities in poverty is not something we can afford to pay later. Heartland Housing’s work of thoughtfully developing and maintaining affordable homes for the most vulnerable members of our community depends on the generosity of those who can afford to help support us. Donations are deeply appreciated and managed by our parent organization, Heartland Alliance. The work of Heartland Alliance is to end poverty and improve all areas of life for those we serve. Your contribution to Heartland Housing is an important step in supporting this endeavor. Thank you! The ability to offer someone a reliable, clean, safe, and affordable place to live perhaps for the first time, has a lasting impact on that person’s life. You can honor the memory of someone who impacted your life by donating to Heartland Housing.